Endon Lighting Nico LED illuminated bathroom mirror is a stylish rectangular design mirror with 2 natural white LED strip lights at each side. The product code for this Endon bathroom mirror is 60899. 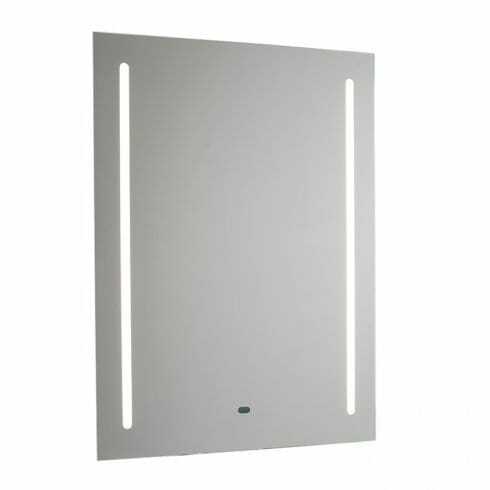 The Nico LED bathroom mirror features a demisting pad and motion sensor to switch the two strips of LEDs on or off, also includes a built in dual shaver socket which is simple and easy to fit without dismantling the fitting making this a perfect choice for modern bathrooms. This product is IP44 rated and comes with a 2 year warranty. The Endon Lighting range has a wide range of illuminated bathroom mirrors all of which can be viewed on our website.